This morning, K and I have continued to mulch the soft fruit area and a couple more of the raised beds, though obviously there’s a lot more mulching to do! The trolley we bought during the week has proved very handy for transporting the compost bags and is foldable so we can keep it in the car easily. Whilst there, we tried to harvest our last carrot but sadly someone else has got there first and it proved full of holes so we composted it instead. 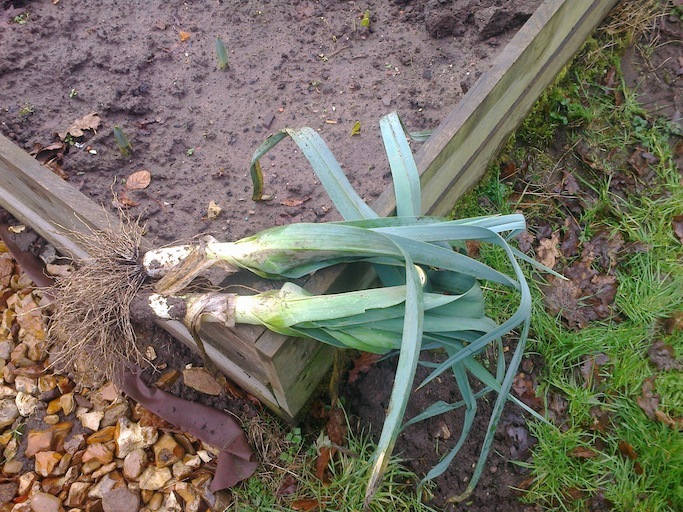 However, all was not lost, as we harvested the first of our leeks (hurrah!) 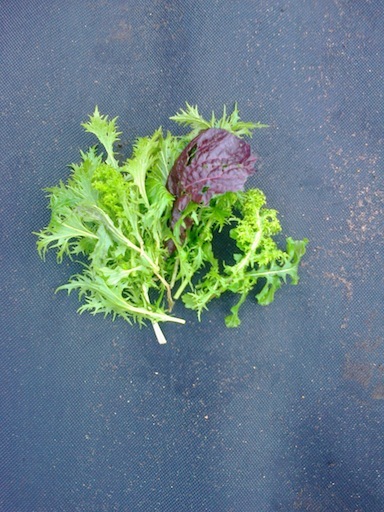 and some more of the winter lettuce. The leeks smell amazing. We’ve also had a rethink about having a greenhouse as it will mean going down to the allotment twice a day during the summer to open and shut the windows and we really don’t have the time – maybe when we retire, eh! Instead, we’ll probably put another raised bed in the space and use it for flowers as it’s in front of our planned seating area. K is also thinking about putting a cage round the whole soft fruit area so we can protect it from the birds, but that needs some more thinking. 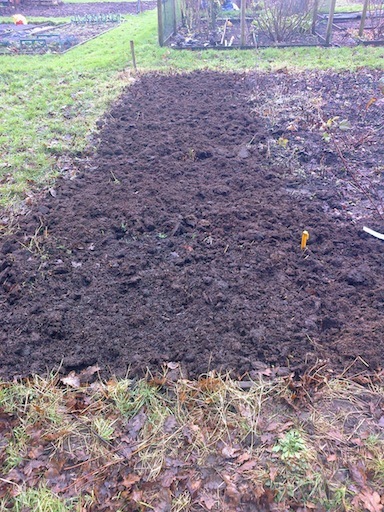 And the tulips are poking their heads above the soil for definite now, which is great. Dryathlon 2015: Please give generously to Cancer Research UK! 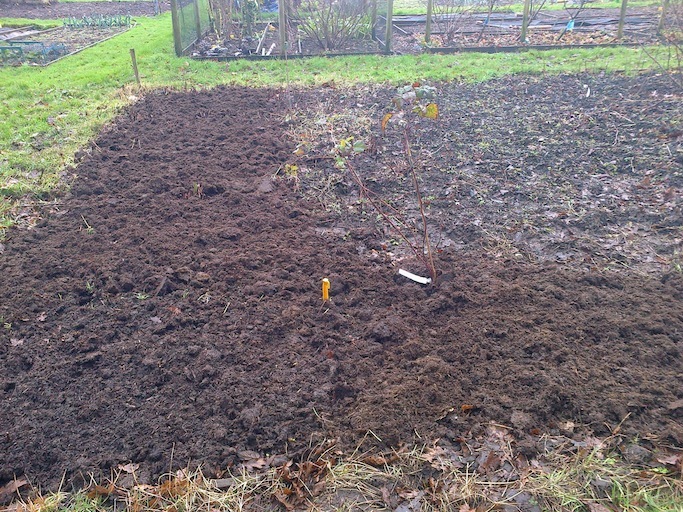 Categories: Allotments | Tags: carrots, compost, fruit cage, greenhouse, harvest, leeks, mulching, raised beds, soft fruit, tulips, winter lettuce | Permalink. Hi Anne, I know exactly what you mean about the greenhouse. Some of our plot holders have mini greenhouses at home and transfer the seedlings up when they are bigger. Love your blog, it is very interesting to read and the photographs really add to it.